From the Miami Herald. CARACAS, Venezuela -- President Hugo Chávez and leaders of the Venezuelan Catholic Church are tangling like never before, angering parishioners who feel the president and his clerical detractors aren't following Jesus Christ's creed of brotherly love. 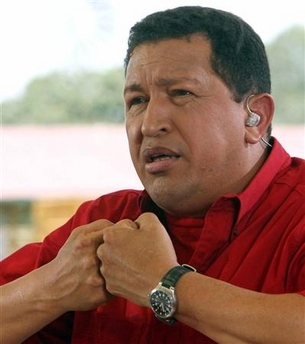 Over the past week, Chávez has said that Christ would whip church leaders for lying. Cardinal Jorge Urosa countered he was right to warn the Vatican that Chávez is curbing freedoms. Some parishioners are concerned over the tensions between Chávez and conservative priests, who are speaking out against what they see as the socialist leader's increasing authoritarianism. Venezuela is overwhelmingly Roman Catholic. Polls consistently show the church, which wields significant influence, is among the nation's most respected institutions.